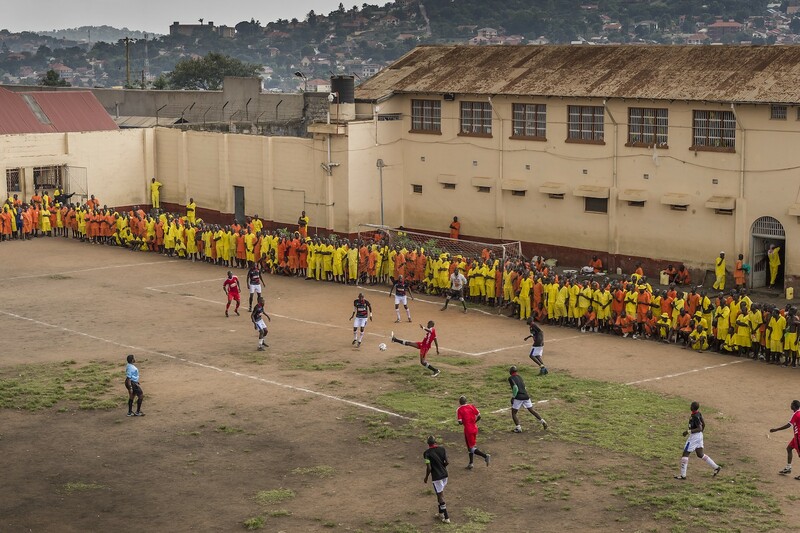 In Luzira Prison, in Kampala, a football league is organized. The teams composed of inmates meet each other throughout the year until a final. 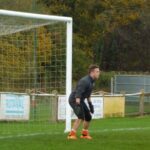 The teams are named mainly out of English Premier League clubs: Manchester United, Liverpool, Everton, … The pitch is the courtyard of the Upper Prison, the most secure place of the Prison large compound. Hundreds of inmates come to support their favorite team. Liverpool in black versus Manchester United in Red. Liverpool will win the match. [K]ampala’s streets are a chorus of color erupting from everywhere. Uganda’s largest city is cut through with crowded stalls selling heavily dyed clothing of purples and blues and reds. Teeming crowds huddle under bright umbrellas and awnings and stark green Jackfruit trees as the showers move through and coat the dirt streets and leave as quickly as they came. Luzira is a little more than seven miles outside Kampala’s city center. Colors fade here until there are two: yellow and orange. The color of the inmates’ clothes. Luzira is home to the biggest prison in Uganda. There are more than three thousand inmates here in a facility fit for 500. The place is infamous for its prisoners, some of whom marched with Kony and flew Al Shabaab’s flag. Men huddle in crumbling, crowded rooms, their beds strewn about the concrete floors, watch over by a small detachment of soldiers with Kalashnikovs perched above the grounds. But there are other devices at work here. Soccer. Unity. Order. VICE World of Sports is a recent invention, launched just last month on its nascent cable channel Viceland in an effort to comb the globe for some of its most compelling, buried sports stories. In its fifth episode, airing this week, host Ben Ferguson and crew traveled to Luzira to take in what the prison’s keepers see as a vital keystone in their inmate’s rehabilitation process. Believe it or not, that thing is a prison soccer league. 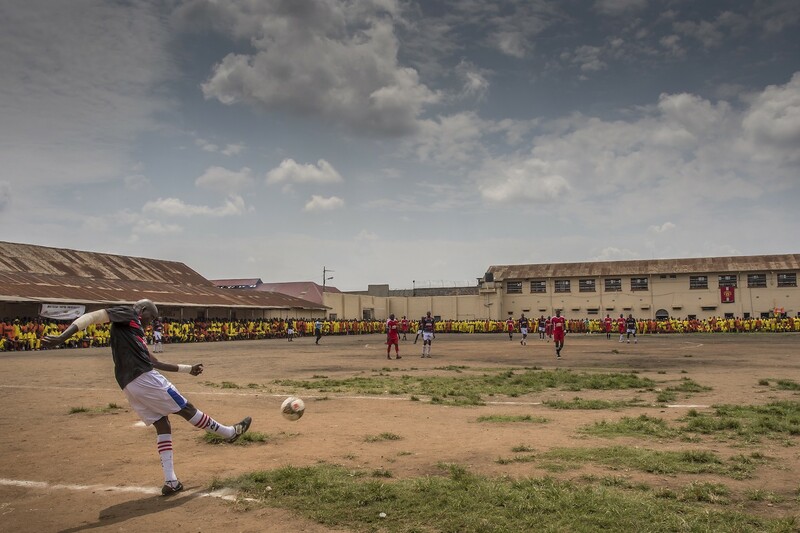 For a prison with a reputation as one of the most violent homes for criminals in Africa, Luzira has a shockingly robust soccer infrastructure. There are the 30 pages of rules drawn up by the Upper Prison Sports Association, something like a prison version of the FA. There is the 10-team league that spills into a four-team knockout tournament d brings the entire prison to a shuddering halt. Of course there is also the organization of the teams, with names like Arsenal and Manchester United and Liverpool. There is even a transfer market for top players, who command princely sums of sugar and rice from teams wealthy enough to wield them. While VICE is there, the prison’s attention is wrapped tightly around the tournament’s final four, which looks on paper like an FA Cup: Chelsea, Manchester United, Arsenal and Liverpool are all in action. The tournament whittles down to the final, which is buffeted by a flash rain storm that turns the patchy dirt field into the consistency of oatmeal. The winning goal is scored by a man named Benon Luyima, who had already scored a hat trick in the semifinal. He is Liverpool’s top striker, and he becomes the hero by scoring the winner in the final. He plays without shoes. As Ferguson speaks to Luyima, we learn he is coming to the end of a 10-year sentence for hitting and ultimately killing his then-girlfriend. He compliments the prison’s league while vowing his troublesome past is behind him. 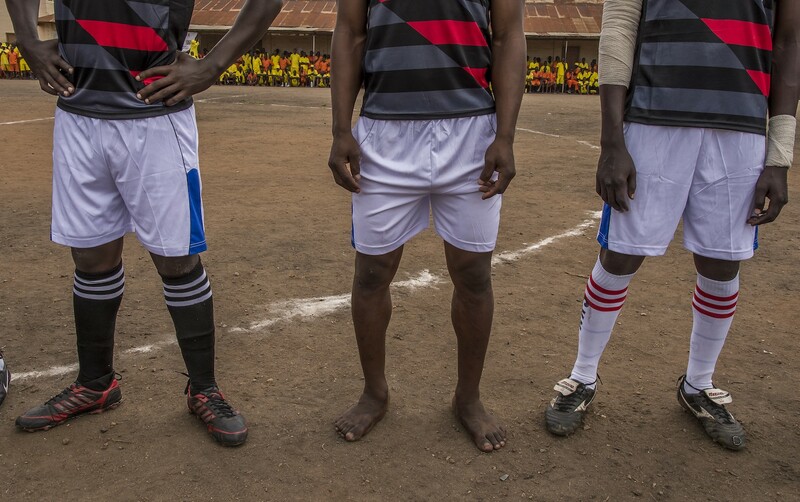 The players of Luzira’s rigidly structured soccer league live in this hazy middle distance between prison and the outside world. While enclosed in concrete, the game briefly allows them to exist outside their confines as part of the world’s game. As Ferguson says when talking to UPSA president Opio Moses, there is something profoundly ironic about the rules of the game carrying so much weight among men accused of destroying them on the outside. Moses, though, is quick to admit this hardly surprises him. “What I have learned — football unites,” he says. As Ferguson observes the tournament’s final four, there is precious little danger about it, even as passions flare on the field. 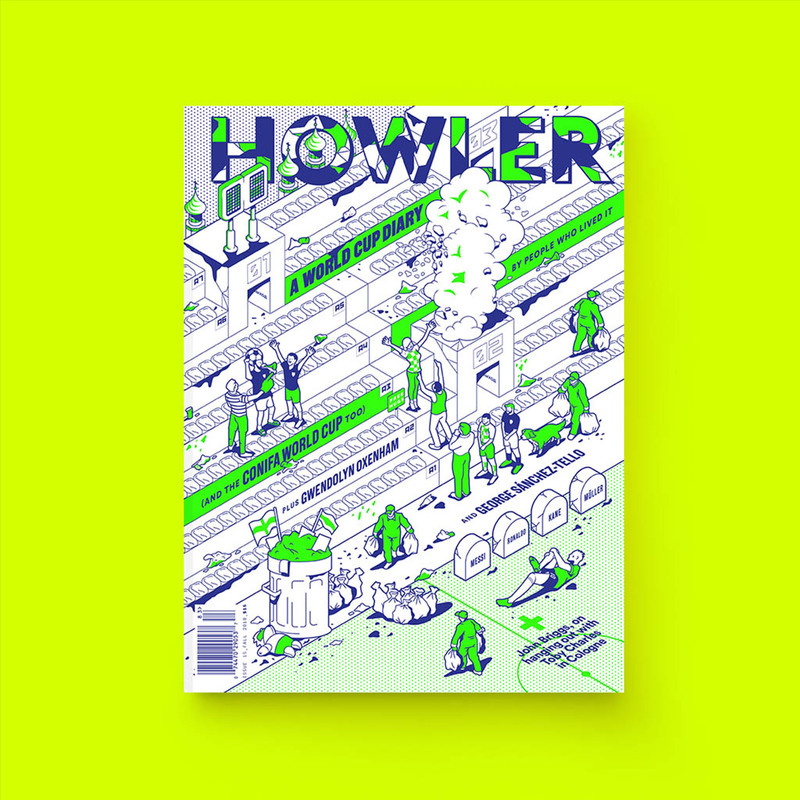 The idea for the project came to Rosenfeld from VICE’s UK desk. Pitzer College’s Nigel Boyle works in programs with his students in prisons throughout the world, and Boyle identified Luzira’s unique soccer economy as an interesting story. Rosenfeld has been involved with a flurry of projects, including the Emmy-nominated 30 for 30 documentary “The U,” on the University of Miami’s football team. But this one hit a unique chord with the entire staff involved with the episode’s production. It tore them in two directions, between sympathy born from interaction and skepticism born from the past. Can you really root for these players? Does a player deserve to win? To celebrate? You are invited into these questions, to root around uncomfortably in their viscera. This uneasy balance is an early hallmark of VICE’s documentary-style sports show, which has already told the stories of young boxing prodigies in Ghana’s slums, the violent history of Serbia’s Eternal Derby, the precarious diplomacy of Cuban baseball, and more. For Rosenfeld, the trip to Uganda was something uniquely special, even among these. 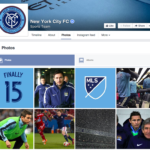 Will Parchman is a staff writer for Top Drawer Soccer. Follow him on Twitter @WillParchman.